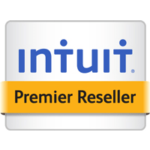 Never miss a sale again with Intuit GoPayment. Take payments anywhere and get a free card reader and app for your mobile device. 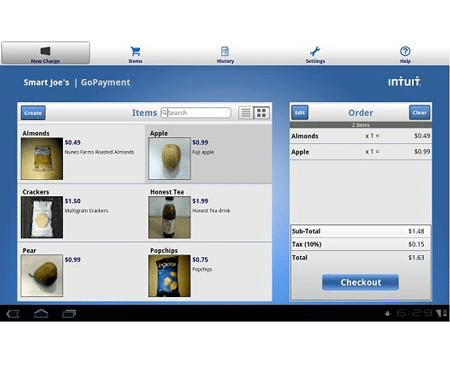 See how easy it is to accept credit card payments on your iPhone, iPad or Android devices with Intuit GoPayment. Download the free GoPayment app for iPhone, iPad or Android devices and get a free mobile card reader. Customize GoPayment email and text receipts with your company logo as well as your contact information. Easily add up to 50 individually trackable users so that all your employees can accept payments on the go. 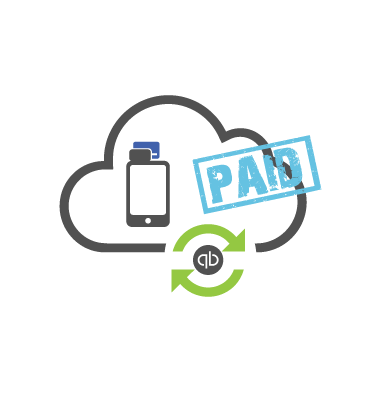 All transactions sync with QuickBooks and Intuit Point of Sale products for easy reconciliation. 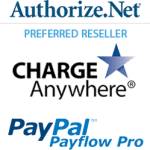 Accept and record all credit card transactions as well as any cash or check payments. Never miss a sale again. 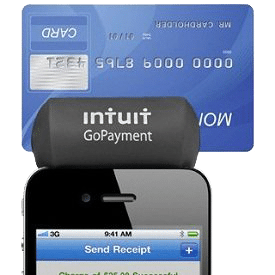 Intuit GoPayment allows you to eliminate expensive credit card terminals and hardware and accept payments anywhere with your iPhone, iPad or Android device. You can process any type of credit card payments plus even record payments that involve checks or cash. Go Payment gives you the flexibility to swipe, scan or hand enter your transactions to be processed. Either way, when you sign up, we include a free card reader that works with Apple and Android to get you started. Need more than one? No problem. You can easily order more so that you can equip every in your company that needs to accept payments. Go Payment gives your business that polished, professional look. You can auto calculate sales tax, personalize receipts and add your business logo to fit your business needs. It even lets you add your inventory with pictures and preset pricing that you can sell to. 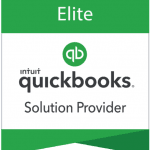 All transactions sync up with QuickBooks and Intuit Point of Sale products to help you fully manage your business. 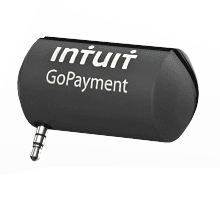 Go Payment completely eliminates to hand enter transaction data into your QuickBooks as well as the wasted time and potential errors that go along with it. Just swipe the card, submit the sale and it will sync with your QuickBooks. GoPayment works with iPhone, iPad and Android devices. GoPayment is not compatible with Windows or Blackberry devices. Although we do not officially support devices from other providers (such as TracFone and Cricket), they will often work with GoPayment.